If you are looking for a fun weekend away, somewhere to get outside but also enjoy good food and drink, then you really can't go wrong with Greenville, SC. It is a compact, walkable downtown that makes the most of its natural beauty and has a stunning amount of restaurants packed within. Enjoy strolling around the park and pedestrian bridge centered around the lovely waterfall smack in the middle of downtown or explore the surrounding area on 2 wheels along the fantastic and family- friendly Swamp Rabbit Trail. Need a change of scenery from the hustle and bustle of life? Want the kids to unplug from their devices for a while and connect together as a family? A family weekend getaway can do wonders for everyone, kids and adults alike. Enjoy an easy scenic hike, float a river, try apple picking or antiquing, pitch a tent, or explore the local shops- insert itinerary specific sentence here. Our favorite Inn that has bike rentals and a quirky attitude. It makes any stay there memorable and fun. 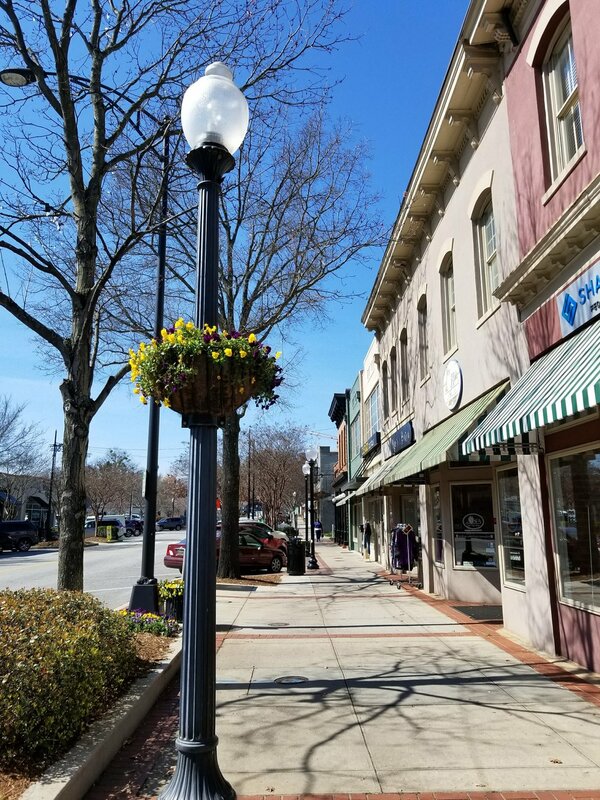 Greenville is a foodie’s dream- this must be one of the most densely packed downtowns in America for delicious restaurants per block. We list our favorites, from quick and casual to the more expensive places that you write home about. To see more photos for this itinerary, visit the album on our Facebook page.